You are currently browsing the category archive for the ‘Interviews & Conversations’ category. 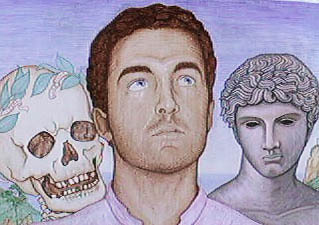 The 2011 Omega Tarot Conference: “Fate and Free Will” is coming up soon on July 29-31. This year Rachel Pollack and I are including three speakers who are among the top workshop presenters at tarot conferences. They really understand the needs of tarot students and practitioners and create fun and innovative ways of experiencing the cards more deeply and effectively no matter your level of knowledge. With this lineup, we know this will be an outstanding weekend for tarot learning. James Wells lives in Toronto, Canada and is a professional tarot reader, teacher and workshop organizer. His book, Tarot for Manifestation, will be available in time for Omega, while his deck, The Circle Ways Tarot Deck, will be out later. James’ readings focus on self-empowerment and conscious decision-making. He uses circle methodology, reiki, journaling and many other modalities to help clients and students remember their creativity, resourcefulness and wholeness. We are really honored to have him on the faculty this year. • How did you get into tarot and how did you make the shift from your former profession into being a full-time tarot teacher and reader? Since childhood, I’ve been interested in what makes people and the universe tick. When I was 12 years old, I was reading a book called Let ESP Work for You by Patsy Ruth Welding. There was a short section of seven or eight pages that talked about tarot cards. Welding’s description of the cards was simultaneously luscious and grounded. I saved up the money I earned from lawn cutting and newspaper delivering and went to a games store to buy my first tarot deck, a 1JJ Swiss pack. Any time I could, I practised with friends, cousins, and myself. When I was in high school, some of my teachers would ask me to pop into their offices after classes to give them short readings. 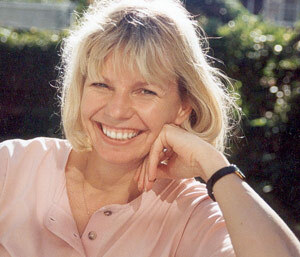 In my late teens, I discovered Gail Fairfield’s book, Choice Centered Tarot. At last, an understandable system! A couple of years later, I went into a career in music (classically trained), directing choirs, playing organ and piano, composing, and so forth. This career sustained me creatively and spiritually for a while, but I became disenchanted with the interactions I encountered in that world. I realised that when I was offering tarot sessions for people, I felt really alive. People began to give me fare from their gardens, books and other gifts in exchange for tarot consultations, so I checked with a healing teacher with whom I was then working and with an astrologer friend of mine about going into tarot in a professional manner. Their feedback plus my own sense of inner rightness took me to a printing shop to get 1000 business cards made. They simply said, “James Wells, Tarot Consultant” and displayed my phone number. These got around and more people started to call. People told me that the sessions they experienced with me helped them see things in a good way, so I began to wonder what I did that made our times with the cards so beneficial. That’s when I started to teach workshops and classes. The process of creating a format and handouts clarified, and still clarifies, what is valuable to me as a practitioner of tarot. The private consultations and the teaching enhance one another. • You are considered to be one of the best tarot workshop presenters. Why do you think this is and what do you most want participants to get from one of your workshops? I get a thrill from the “aha!” moment, so in many workshops I set up the possibility for someone in the group to have a revelatory experience. Recently, I offered a creative exploration of people’s birth, year, and month cards (derived from their date of birth). A psychotherapist who was in attendance suddenly blurted out, “Holy s**t!” as she had a realisation about a pattern in her life. My heart leapt for joy. People who attend my gatherings also comment that they feel heard, accepted, and wiser than they first believed themselves to be. My experience with, and training in, circle process fosters these. Circle process is a simple and adaptable communication methodology rooted in basic human practices such as attentive listening, intentional speaking, and reliance on something greater than ourselves. In my tarot workshops, my job is to weave a container wherein people not only get information from me, but also bring their personal journey to the cards and learn from hearing their fellow participants speak about how the tarot and their lives converge. I suppose all of that comes down to offering hands-on learning experiences rather than just talking at people. • There are many purposes for tarot readings. What, for you, is its most profound purpose? Two words come to mind: liberation and wholeness. The tarot, at its best, is a marvellous lens through which we can see what IS. When we become aware of what is, we can see our options more clearly. Knowing that we can choose any of these is liberating. We’re no longer victims to our thoughts about whatever our experiences, past or present, have been. An accumulation of these liberation moments can help us to remember that at our core we are whole. What a profound gift to those who use the tarot consciously! I’ve been busy recently doing a couple of interviews as well as my two-part webinar, and I wanted to make these links available. I was thrilled to be asked recently to do an interview with Fiona Tankard from Italy. In return she offered to do a reading for me, which is included in the interview. After a couple of rough starts via Skype we had a really enjoyable talk. Then she discovered that her recording hadn’t worked. Luckily I was trying out my new iPad as a digit recorder and was able to send her the file. Ah, technology. Enjoy Fiona Tankard and myself at Tarot Can Help. Her reading for me really helped. I can’t tell you how exciting it was to be on the receiving end of a reading and get direction about a big issue. I also did an interview with Andrew Kyle McGregor in Toronto for his blog, The Hermit’s Lamp. Andrew has been asking people about change and how we, as tarot readers, handle this with our tarot querents, and what our philosophy of change is. We had a really interesting conversation that you can find here. And be sure to check out Andrew’s monthly podcast conversations with James Wells, available here, as well as Andrew’s other interviews on change with people such as Nancy Atenucci – here. Don’t forget that you can still access the 2-part webinar that I did through Linda Marson’s Global Spiritual Studies on “An Analysis of the Role of Cartomancers through Western Art.” You get access to the webinar classroom where you can watch the PowerPt presentation and listen to the complete talk. The only thing you miss compared to being there ‘live’ is the opportunity to ask questions and the short after-class discussion and wind-up. I was completely surprised to discover that a reading I designed for tarot.com has been turned into an app for the iPad called Yes/No Tarot (just out this month). The animated introductory scene is outstanding!—worth the price of the app for that alone. 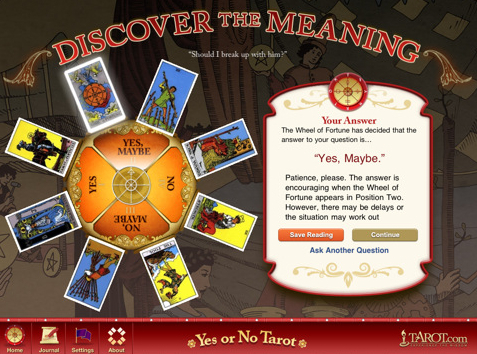 The Spread has been vastly simplified from the version available at tarot.com—the Yes or No Tarot Reading. In the App-version, you get the basic answer but the only details about the cards in the spread are a short comment for each Major Arcana (if any turned up in the reading). That’s disappointing since, in the on-line version, you also get an analysis of suits and what elements are missing from the spread. I guess the point of the app is that you get a quick answer and then can ask again (or from a different perspective) as much as you want. You can also save your answer to a journal. If you would, please leave a review or rating, as well as letting me know what you think here. I’d love to hear from anyone who has listened to these interviews or talk and wants to continue the discussions we had there. Now, I’m off to Readers Studio 2011. 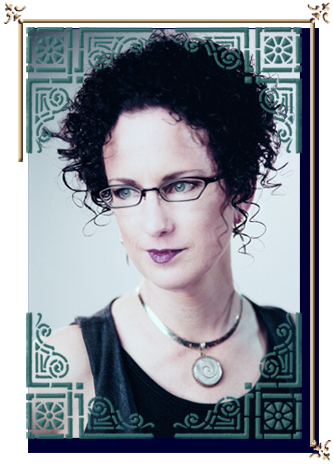 ADDED: Check out Carrie Paris’ gorgeous new website, Learn Tarot and especially her interview with the Hierophant! My talk on “Death, Emperor and Fool” for LETS can be viewed here. Please, stop by the filmmakers’ IndieGoGo page to learn how you can contribute to their campaign and help make this film happen. Go to the Events page for information on this summer’s Omega Tarot Conference and the five-day workshop with Rachel Pollack and myself. It was clear that Brian was letting us know that, although he was “out of the game,” he was more than okay. Afterwards, over pizza and wine, about a dozen of us taroteers inaugurated our first Patron Saint of Tarot – Santo Briano (there is no such name as Brian in Italian – so that’s the name they made up for him in Italy). We also came up with the following prayer that contains many oblique references to his holy symbols and sacred acts. Eros and Thanatos (see below, also known as “the cabana boys”) were his imaginary sidekicks who kept him in as much trouble as possible. Tie us up in leather and lace. Santo Briano, tie me up again. Rush over right now and listen to Anne Hill and me discuss tarot and dreams on Dream Talk Radio. Anne writes for the Huffington Post, leads dream workshops and is the author of What To Do When Dreams Go Bad: A Practical Guide to Nightmares (a wonderful book!). I was just interviewed about the laws regarding psychic services by Jason Pitzl-Waters for Wild Hunt – one of the leading voices for analysis and insight into how modern Pagan faiths are represented within the mainstream media. Feel free to add your voice here or on at the Wild Hunt site. This earlier post discusses additional aspects of the situation. List to the podcast Elemental Castings in which Mary Greer and T. Thorn Coyle discuss the magickal element of Water (link now fixed). We cover water, tarot, cups, boundaries, depth, flow, the Magician vs the Priestess, and many other things. Thorn describes herself as a magic worker, mystic, and pagan. An internationally respected teacher and author, her work focuses on the alchemy that occurs when we open ourselves fully to our humanity in our quest for Divine knowledge. She is the author of Evolutionary Witchcraft. One reason people enjoy going to tarot conferences is the opportunity to talk about our favorite topic—tarot—with others. We also get to do it on forums, although the process of truly engaging in a deep dialog with another is rarely the result. Rather we all-too-often indulge in quick exchanges of information, long monologues, or debates and challenges. Enrique Enriquez is what I call a rhetorician of the tarot, a philosopher of images (tarology). He teaches the ‘language of the birds,’ not just as communicating the soul of divination but as the art (or, more properly, ‘techne‘) of the practice. It was my great pleasure and honor to be asked to engage in an intriguing conversation with Enrique on tarot and related things. I hope you will enjoy it, too, and all of Enriques’ other musings. One additional note: You’ll find a photo of me when I was four or five at the end of the conversation. The day after completing the dialog with Enrique I was doing a major overhaul and moving of things in my house. In the process I “happened” on this photo, which was among some old things of my mother’s that I had forgotten. However, the flower-memory I spoke of in the conversation was in vivid color, and I saw myself in other locations. 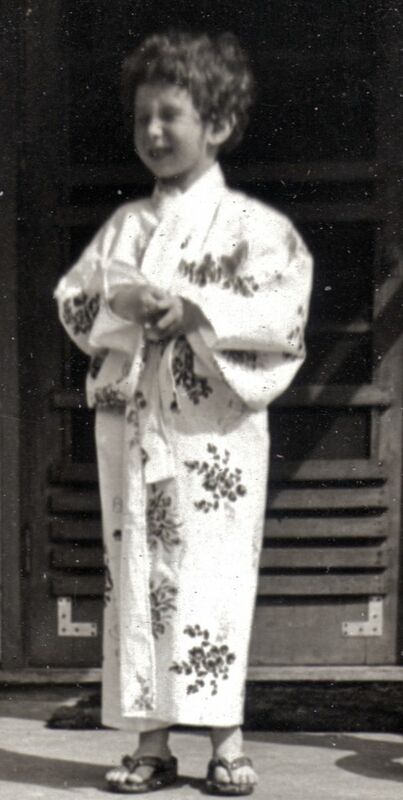 So, the synchronous stumbling upon of the black-and-white image of me in the kimono of which I spoke seemed a message of Beauty-in-authenticity mentioned in our conversation. 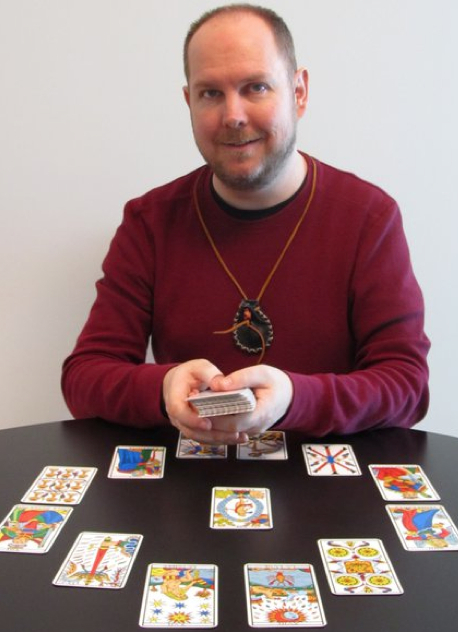 And Enrique’s interview with master tarot deck maker, Jean-Claude Flornoy, for the ATS Journal. Juliet Sharman-Burke will be teaching tarot at the Omega Institute Tarot Conference in June and in Melbourne and Sydney in August. 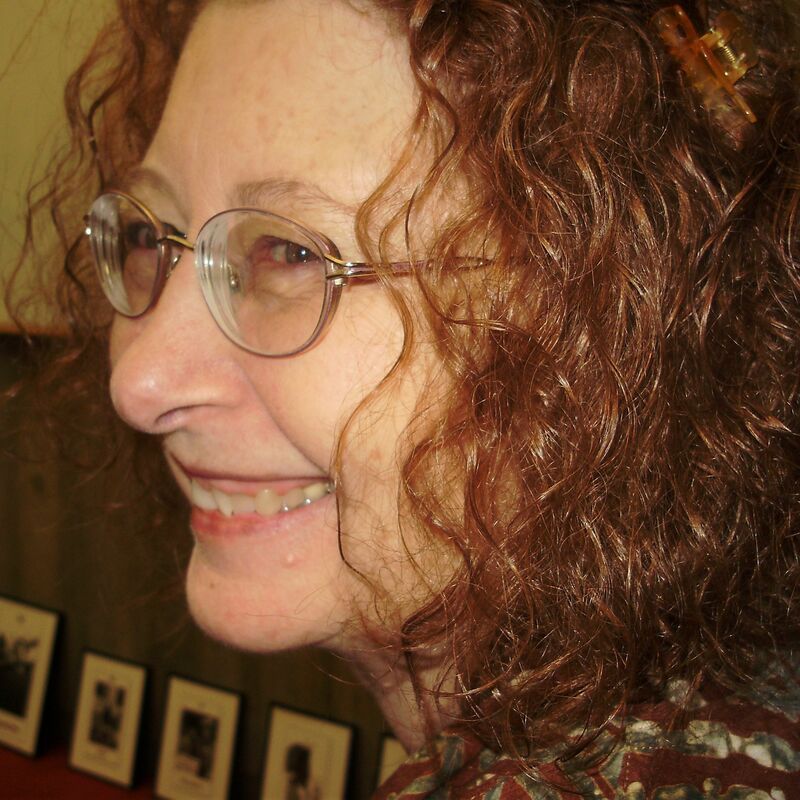 The following is an interview conducted by Annie Dunlop, president of the Tarot Guild of Australia who interviewed her for “The Magician” journal (reprinted by permission). Juliet has produced three tarot decks since 1986 – The Mythic Tarot with Liz Greene, the Sharman-Caselli deck, and an innovative “color it yourself” deck. She has also written eight tarot books. Juliet, how would you describe yourself? I am primarily a psychotherapist these days, with four days a week taken up with regular patients, but I do as many Tarot readings as I can fit in, and teach once a term for the Centre for Psychological Astrology. I love teaching and am looking forward to a conference in the Hudson Valley in June with Rachel Pollack and Mary Greer, and of course I am really looking forward to being in Australia and meeting the Tarot Guild members! When did Tarot first come into your life? I found my first Tarot deck and book by accident in a bookshop while on holiday with a friend. We were intrigued by the title, which was something like Tell Your Future with the Cards! As I was nineteen at the time, I was longing to know whether I would marry the current beau, and what my future would be, so we bought the book and cards between us, it was the Marseilles deck, and proceeded to try to tell our futures. We were not very good and my friend lost interest and let me keep the cards. I persevered on my own and found that while I was not terribly good at reading my own cards, I was having unexpected success with others. I started reading more, and learning astrology too, but in those days there were not many books or cards and many of the old books were very complicated. I collected notes from the books I could find and came across the RWS deck, which I found much easier to relate to than the Marseilles or the Visconti, which I owned. I decided to write a book for myself, using the notes I collected, and gradually started do more readings first for friends and then strangers. A client wrote a magazine article about me, and the readers’ response to the article, asking if I would do a correspondence course, inspired me to develop a course, which turned into my first book, The Complete Book of Tarot. If you could take any Tarot deck to a deserted Island, would it be one of yours? Yes, it would be the Mythic Tarot, because the mythic stories never fail to delight me. You have such a deep knowledge and understanding of mythology; from where did this passion develop? I have always responded to stories that describe or illustrate something that might otherwise be difficult to understand. Myths work on so many levels, and can be looked at from many different perspectives, so that something extremely deep and complex can be understood quite simply when told in story form. The archetypal nature of myth speaks to us all, which makes it accessible. The utilisation of mythology in the Mythic tarot adds an extra layer of meaning to what is still primarily a deck of RWS tradition. Did you realise how successful and elucidating the connections with mythology were going to be when you first started this project? I had no idea. I always loved fairy tales and myths from childhood and when I first heard Liz Greene talk about the horoscope and the planets from a mythological and psychological point of view I was enchanted. I felt that myths could imaginatively add another dimension to the divinatory meanings of each card so Liz and I decided to create a deck that would make it easier to follow. And because the Minor Arcana are often considered to be more difficult to learn than the Majors – even with the RWS deck where they are pictorial – I felt that having a story run through each suit from Ace to Ten would make it much easier to remember the meanings of each of the Minor. And the Court Cards, which again many people struggle with, seemed to make sense from an astrological view point, using the qualities and elements as well as taking a zodiacal perspective, as well as using a mythic figure to further elaborate the meaning of the card. I think perhaps that the Mythic Tarot has captured imaginations because people love myths (they are archetypal and thus speak to us all), yet myth is not always taught in school these days so many people have missed out on them and the cards provide an opportunity to engage with and sometimes learn about them for the first time. What was the inspiration behind the beautiful Sharman-Caselli Tarot? The story behind the Sharman-Caselli deck is quite funny really. I was asked to write a beginners book using the RWS deck as illustration, but in the end permission was refused to use the RWS, so the publishers suggested I design a new deck myself that was traditional, good for beginners and could stand alongside a popular deck like the RWS. It turned out to be great fun to design and Giovanni Caselli is certainly a wonderful artist and did a great job I think. I love the people I meet, both through therapy and Tarot reading, as well as through teaching. I am always interested in people and if I can make even a tiny difference in anyone’s life for the better, I am happy. 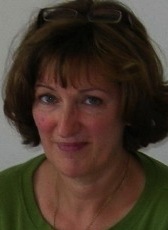 Juliet, you have been teaching Tarot in one form or another for the best part of 30 years. How has the content of the courses you offer changed over this time? I think the content changes as my life experience changes and as I understand more about the complexity of life. I certainly started life, as most people do, as the Fool, but I am definitely more like the Hermit these days! Which I am happy about, as it seems appropriate. 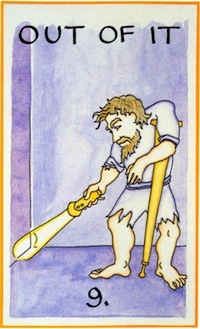 I love the Hermit card, and long to become as wise and patient as the image portrayed. I draw on my knowledge of psychology for the Tarot and the richness of the Tarot imagery inspires my work as a therapist. You lead a very full life! As well as producing 3 tarot decks and 8 tarot books, you are involved in teaching and administration at the Centre for Psychological Astrology in London, and you run your own private psychotherapy practice. What does the future hold in store for you? Do you have a dream that you would like to share? Yes, life is full, and I like it that way. I love doing everything I do, the only thing I would like to have time for is more travel. I would like to travel around India, South East Asia and Africa, as well as having time to revisit many European cities. I guess my dream is to have enough time and money to do this at leisure, and in a certain amount of comfort! Do you have a favorite Major Arcana card? I like all the cards, to be honest, but I guess my favorite is the Star – the card of hope!